Almost as soon as Jeremy Corbyn was elected as the Labour Party leader less than twelve months ago, Blairite MPs have been plotting to overthrow him. It has only been a matter of timing when the daggers will be drawn, not whether they would be. Well, it looks like the time has arrived, ten shadow cabinet members have resigned at time of writing, and there may be a few more to come. Corbyn has so far refused to stand down. Why do these MPs think that now is their opportunity to oust the leader though? There have been several possible occasions over the last year when it may have been possible to strike, but all have come and gone. 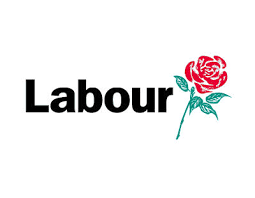 The Oldham West by-election was the first, but Labour held onto the seat, increasing their majority. Then we had the elections last month, in Scotland, Wales, London, and local council elections. Despite predictions that Labour would do very badly, the elections turned out to be not that bad for Labour, except in Scotland. The idea that a Blairite would have done better in Scotland, is ridiculous though. Also, with the EU referendum coming hot on the heels of the May elections, it was decided that the putsch would have to delayed. There has been constant grumbling from anti-Corbyn MPs about how Corbyn should have campaigned more for the remain side, and with the result going to the leave side, this has now become the optimum time, or so these MPs think, to actually mount the coup. Corbyn did make several supportive speeches about remaining in the EU, although the media didn’t really report them and I think he did the best that he could. We know Corbyn has a history of Euroscepticism, but others have changed their mind over the years on the issue, and in the end it wasn’t Corbyn’s fault that the referendum was lost. With leave winning the referendum, and the Prime Minister resigning, there is now every chance that we will have a general election in the autumn, or more likely May next year. While many of Corbyn’s opponents in Labour thought they would have another two or three years in which to pick their fight, now they see it as urgent business. Many Labour MPs will fear for their seats at a general election, whether this is rational or not, seeing the loss of core Labour voters to the leave camp as evidence of rejection of the party under its new leader. I am dubious this is the case, but if this perception is held by Labour MPs then they may well think they need to ditch Corbyn. Labour started to lose its traditional voters under Tony Blair’s leadership, with his Tory-lite agenda, and Labour is blamed for allowing immigration from eastern European nations once they joined the EU. We should also remember that Blair wanted to join the Euro, and would have, if Gordon Brown hadn’t stopped him doing so. It was under new Labour that its traditional voters lost faith in the party, and I’m one of them, though for slightly different reasons. Many Labour MPs came through the trade union movement, and so were still in touch with working class people, but Blair put a stop to that, and only allowed Oxbridge graduates and the like to become MPs. This hollowed out the party and alienated it from its traditional base. A Blairite leader will not bring them back. The problem for the plotters now, is the same as it always been, the membership is overwhelmingly supportive of Corbyn, and he would win again in a leadership contest. They might try to bar him from standing, by refusing to nominate him, but this would lead to large scale defections of the new members particularly, but probably more long standing ones too. This option would probably be very good news for the Green Party, as I would expect a surge in members, but they may think this is a price worth paying. It is very risky though. Will they pull this off? I think it is unlikely, but maybe. Mention of Gordon Brown and migration may well bring to many minds a public relations fau pas where the then electioneering PM thought he was off-mic and was not, and was thus heard to refer to a member of the British electorate as a 'bigot'. Of course, a bigoted right wing press was sure to pounce on Gordon Brown for having said that, and then Community Care 'Outside Left' commentator wrote an excellent piece about the matter. Was Gordon Brown’s ‘bigot’ comment that bad? I voted REMAIN, yet believe that the fact there was a vast exodus of Poles as migrant labourers around the world can be regarded as a symptom of the impacts that the IMF, World Bank and EU's meddling into scuppering the tradition of localism that previously existed in Polish farming, in a move toward larger farms and export markets. See review of Julian Day Rose's book 'In Defence of Life' on Compassion in World Farming website. Something Cameron now has very much in common with Blair is his preference for resignation over electoral defeat. Yet I wonder whether part of the impetus for this coup within the Parliamentary Labour Party might be that they are all deeply shaken by the murder of their colleague Jo Cox MP? Great article, love to read about it :)!